Co-founder of The Modern Brand , Brad Kachelhofer focuses on research, planning, project and production management, and copywriting. A graduate of Randolph-Macon Woman’s College (now Randolph College) with a degree in Creative Writing, Brad worked in magazine publishing and advertising for many, many years before starting The Modern Brand in 2007. Brad holds a PMP certification from the Project Management Institute. Alabama Women in Business began approximately 25 years ago as the Women’s Business Ownership Council (WBOC), a local 501(c)6. A decade or more later, WBOC elected to affiliate with the National Association of Women Business Owners. The organization was reorganized as AWiB June 2012. AWiB provides women entrepreneurs with opportunities to interact and to develop strategic alliances. It encourages, supports and educates women who own and operate businesses, and it seeks to improve the environment for women entrepreneurs and to foster leadership by business women in the community. Melinda is a Partner at Burr & Forman LLP practicing in the Real Estate and Lending Practice Groups focusing on Condominium, Real Estate, and Alcohol Regulatory Law. Melinda regularly presents seminars for developers, management companies, and associations on the topic of condominium and subdivision law in Alabama, Tennessee, and Mississippi. She was also a speaker at the Craft Brewer’s Conference in 2012, 2013, and 2014 on various legal topics relevant to brewery owners and managers. In 2013, Melinda received her Cicerone Certification from the Craft Beer Institute. Melinda is also a member of the Firm’s Hiring Committee. She has been listed to Alabama Super Lawyers as a “Rising Star” and is licensed to practice in Alabama, Tennessee and Mississippi. She received her B.A. from Auburn University and her J.D. from the University of Alabama School of Law where she received the Thomas Wesley Martin Academic Scholarship as well as the Farrah Law Society Community Service Scholarship. Elizabeth Pharo is the Chair of the board of directors at Momentum Telecom, an Alabamabased, a cloud-based telecommunications company that provides hosted VoIP, broadband services and unified communications services. Pharo recently served as Chair of the board of directors for SuccessEHS and led a successful sale to Vista Equity Partners. Liz has raised approximately 70 million in investment capital and debt for Momentum and has contributed to the growth of Momentum’s retail business sales. She also played a pivotal role in moving Momentum’s headquarters to the Birmingham Business District, furthering the company’s commitment to the Birmingham region. Liz continues to shape the vision and success of Momentum as the company accelerates delivery of cloud communications throughout the US. Liz spends much of her free time investing in the Birmingham community. She is currently on the Board of First Commercial Bank and on the Board of Malcovery, a company that provides products and services that provide the unique intelligence required to respond effectively to attacks on brand reputation and to disrupt phishing activities, and is a trustee of both the Altamont School and Birmingham-Southern College. She is also a member of the Young President’s Organization, the Birmingham Kiwanis Club and and the Advisory Board of the Southern Research Institute. Liz is chaired the Museum Ball for the Birmingham Museum of Art in 2015 and was honored to be named one of Birmingham’s Top 40 Under 40 by the Birmingham Business Journal in 2014. A native of Birmingham, Alabama, Liz earned a Bachelor of Science in computer sciences from Birmingham-Southern College. She is married with four children and enjoys running. Katie Marie Exum welcomes everyone to the states newest outdoor recreational magazine, Alabama Trails Magazine. Katie has always loved nature and the outdoors. From a very young age she was trout fishing along side her dad, learning when the fish bite, what they like, and how to gently care for them when releasing them. Because of her love for the mountains she attended North Georgia College and State University a Sr. Military Academy. While attending college she majored in English and graduated with Bachelors of Arts degree with a Political Science Minor. While attending college she worked at two Georgia State Parks and enjoyed teaching guests about the parks and her love of the outdoors. After coming to Alabama and marrying her husband Scott, Katie continued in volunteer groups and outdoor recreational organizations. After being married for 9 years the young couple were blessed with a little girl. Katie’s love for the outdoors and knowledge is now being passed down to her little girl. At 2 and a half her little one was riding in a canoe on a river. As a new mom who wanted to pass her many stories and the great times she had with her family down to her child she soon realized many parents want the same for their children. She began researching publications for a family friendly source for all things trails and when she didn’t find one she started one. Thus was born Alabama Trails Magazine. Katie is very excited about ATM and the future for the states outdoor recreational opportunities. She loves Alabama. She says, “We have been given a treasure, a state called Alabama the Beautiful. It’s our responsibility and privilege to tell other Alabamians and families about our states outdoor recreational activities and natural resources. We are proud of our state and want all Alabamians to enjoy her.” Alabama Trails Magazine welcomes you. Alabama Trails Magazine. Your Destination. Hamrick is an Alabama native and serves Innovation Depot and the University of Alabama at Birmingham (UAB) as Director of the Innovation Lab (UAB iLab) at Innovation Depot. In the UAB iLab, Hamrick has played an integral role in the sourcing of seed investment for two student-led startups and for the programmatic development and implementation of programming to support experiential learning opportunities for students with interest in innovation and entrepreneurship. Hamrick is a shareholder with the cancer molecular diagnostics company: Blondin Bioscience, which recently secured Phase 1 SBIR funding from the National Institute for Health. She serves also as a member of TEDxBirmingham’s organizing committee. John Peinhardt is a co-founder and President of Directorpoint LLC. Prior to Directorpoint, Mr. Peinhardt served as a Management Consultant for Vantage Associates, Inc., where he advised management teams on strategy execution, large-scale project management, and project portfolio management. Before consulting he gained extensive experience managing large-scale strategic and information technology initiatives for Blue Cross and Blue Shield of Alabama. Mr. Peinhardt is a Project Management Institute Certified Project Management Professional. Headquartered in Birmingham, Alabama, Vincari helps hospitals, surgery centers and the physicians who perform surgical procedures to minimize costs, maximize quality and specificity for ICD-10 documentation as well as optimize facility and professional fee reimbursement. The software platform, Lightspeed Valet, is engineered for speed, accuracy, and the ability to anticipate physician needs, learn individual patterns and guide specificity. Lightspeed Valet dramatically improves the entire process related to ICD-10 both upstream at the point of care and downstream for the coding and documentation teams. 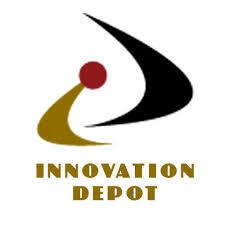 T. Devon Laney is the President & Chief Executive Officer of Innovation Depot, Inc., the high-tech/biotech business incubator located in downtown Birmingham and recipient of the 2011 Technology Incubator of the Year Award from the National Business Incubation Association. Devon has been with the Innovation Depot since 2005. Prior to joining Innovation Depot, he worked on a broad range of marketing, I/T and strategic organizational projects with various Fortune 500 companies as an analyst with Accenture LLP in Atlanta. Previously, Devon worked on the development, redesign and launch of Energen Corporation’s intranet, and also served as the Entertainment Editor for nationally distributed Family Issues Magazine during its first 18 months of publication. Husband, father, dog lover, Tide and Blazers fan, craft beer connoisseur, guitar player, Birmingham native, Relationship Manager at 2B Solutions. Bebe Goodrich is a New Orleans native. She’s also a mother of two under 2. 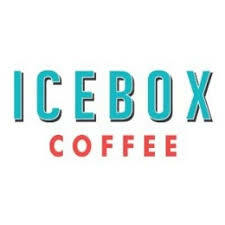 Icebox is her first dip into entrepreneurship. Prior to this, she worked on capital hill and for a local non-profit. Birmingham Business Radio launches July 30, 2015! Join us for the inaugural episode of Birmingham Business Radio on Thursday, July 30, 2015! Broadcasting live from the Innovation Depot, Birmingham Business Radio interviews business owners and entrepreneurs from The Magic City’s leading companies.